The Commission addresses the Lutheran view of church and state, racism, immigration, gambling, capital punishment, and the care of creation. 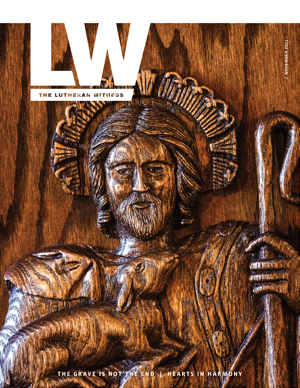 The LCMS is in altar and pulpit fellowship with church bodies worldwide, and many partners are members of the International Lutheran Council, an association of confessional Lutheran churches. Lutheran Doctrine and Practice documents are divided into four categories: Christian Faith, Life and Witness; Church and Ministry; Creation and New Creation; and Means of Grace (Sacraments). The CTCR provides Scriptural perspectives to explain God’s design for human sexuality and marriage between one man and one woman. Topics also include divorce, remarriage and gender identity. From a Lutheran perspective, the CTCR evaluates world religions, religious organizations and movements, and fraternal organizations and lodges. CTCR documents regarding Lutherans and Other Christians focus on the Lutheran understanding of church fellowship, ecumenism, and principles for cooperation in externals. The CTCR examines Scripture regarding God’s design for man/woman relationships in marriage and the church. 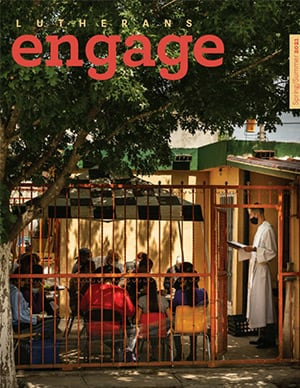 Documents focus on the service of women in local congregations and synodical offices. Several CTCR documents are available in Spanish. The documents are listed in their respective topic categories, and they are also featured in one collection. As an additional way of carrying out its assignments, the CTCR utilizes conferences and convocations to bring matters of theology and church relations for discussion to the membership of the Synod.